Pets are really awesome and important creatures that anyone can have. 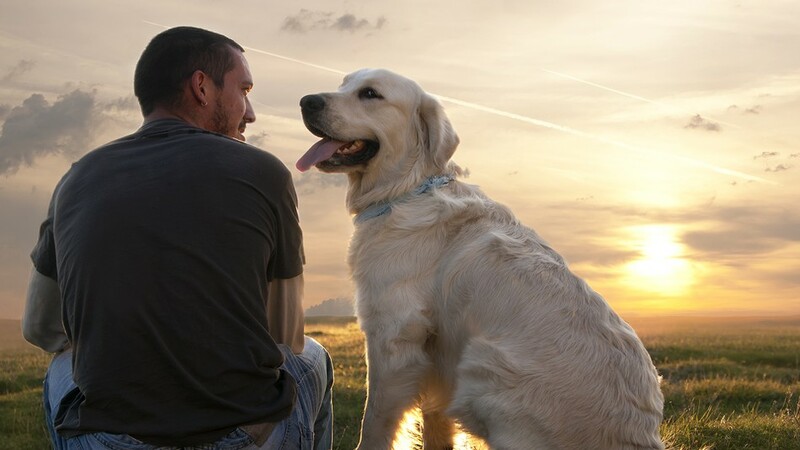 Dogs can provide company, security, and a source of happiness as well. While they can hardly take care of themselves, leave alone knowing the relevant products to do so, they’re lucky to have you. And you better not disappoint them. After all, friends take good care of their friends, right? Looking after your dog can be challenging when you hardly know which products can be good for their wellbeing. Lucky for you, here is a list of the 8 awesome products that will help you through. Please read on. When you’re tired from whatever things you’ve been doing, you’ll always come home to your bed to relax and lay your stress off. This is what your dog deserves as well. And you’ll agree with me that a less comfortable and less conducive bed only adds to your stress and boredom, right? You should get your dog a bed that can keep her warm and cosy while she gets the nap. You may decide to get them a bed that matches your home décor or any that fits your lifestyle. There are different types of dog beds available, such as waterproof dog beds, that you can get for your dog to help them have a better experience. Your dog can easily get lost for different reasons. And there’s no doubt you’ll feel bad about it. You’ll hardly have peace throughout the day when you think that he’s out there alone, somewhere. And anything bad could happen to him. It’ll be worse if he has nothing that can be used to identify him and perhaps you as the owner. Which is why it’s vital that you provide your dog with some identification. You could choose either microchips or identification tags. You can even decide to use both for convenience. On the tag, you can include details of your dog’s name and your contact information. Or just your contact information – home phone, cell phone, or office phone – alone for the safety of your friend. The microchip, which is injected between the dog’s shoulder blades will contain your contact information which will be revealed when the code is scanned. Pets love to play all the time whether with you, with other pets, or on their own. And your friend is no different. Therefore, toys are an important item to consider for his sake. Toys exist in different types – fetching toys such as flying discs and balls, plush toys such as stuffed animals, chew toys such as hard-rubber toys, and critical thinking toys such as treat-dispensing devices. You should be keen when selecting the toys to bring to avoid bringing the wrong size. Some toys will also get destroyed and you’ll need to remove them from the dog’s containment to avoid any possible harm on them. Choose which toys to give them at each particular time. Your dog probably needs to have some shaded area where he can retire to after basking in the sun or when it’s cold or raining. The shelter will also provide a conducive environment for him to sleep at night. You need to get your friend a warm and cosy shelter where he can be safe and relaxed. This is his home and it should be a place where he feels most safe. There are different options that you can go for depending on your dog’s needs and age. Grooming your pets is very essential both for their benefits and yours as well. Remember, you’ll be staying with your dog and, perhaps take him with you for a walk. This can be quite embarrassing for you if he’s not properly groomed. Plus, he can cause some inconvenience when interactive with any member of your family – untrimmed toenails, bad breath, or bad odour. You need to brush his teeth, clean his ears, and trim his toenails among other grooming requirements. It’s, therefore, important that you have relevant grooming supplies with you at any given time. Have things like nail clippers, cotton balls, shampoo & conditioner, toothbrush & dog toothpaste, ear cleaning solution, comb, blow dryer, conditioning spray, towels, slicker brush, and bristle brush. Just like you and every other living creature on earth, your friend will regularly need to eat and drink. The food and treats are essential for their health and proper functioning of different organs. If your friend is still small, she’ll need food and treats with high-calorie demands for the body to develop healthy skin, organs, and bones. Puppies require special diets formulated for their growth and development. But this doesn’t mean the diet requirements are only for puppies. Even your adult friend requires proper dieting at all times. Ensure to always be keen on the type of food and treats you provide them and at what intervals for feeding them. Besides getting food for your friend, you’ll need somewhere to place the food and perhaps water. And the best way you can enhance this is by providing them with food and water bowls. With the availability of different types of bowls – plastic crocks, stainless steel or ceramic dishes, and glass bowls – the selection of which type to use is very sensitive. Each type has its own advantages and disadvantages. Take plastic bowls and crocks, for instance. While they’re the least expensive option, they can easily harbour residue and bacteria more sore if there are scratched or dented parts on the surface. This may require you to replace the bowls on a regular basis. Glass bowls and ceramic dishware can be a better option but they’re normally costly, heavy, and easily breakable. Stainless steel bowls, on the other hand, are the best choice you can go for but they’ll cost you a lot. Without a collar, you can hardly place identification and license tags on your dog. This is what will hold the tags with his and the owner’s details. The collar will be attached to the leash which keeps him from running away and is vital when you’ll be walking him around. The leash gives you control when training him or during the walks. It should, therefore, be significantly strong and durable. An adjustable type of collar can be a better option for convenience, but you’ll need to ensure it fits snugly. You may remove the leash once the dog is inside to prevent related hazards. Dogs can make really good friends with humans. And this bond can be sealed through providing them with essential and effective products. These products are some of the must-haves that you can include in your list to help you enhance your relationship with them and to appreciate their wellbeing. However, there are other important products that you can include in your checklist as well. You can look out for other relevant themed blogs about different essential dog products. For now, good luck with taking care of your friend.